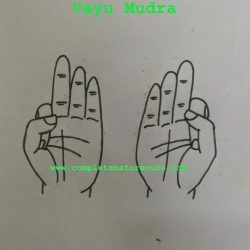 Mudra is a part of holistic healing like Ayurveda and Yoga. 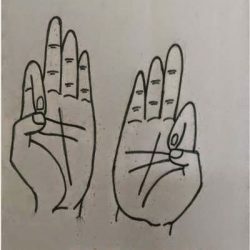 It is very useful and easy to do. Anyone can do it anytime, and there is no need of any expertise to do it. 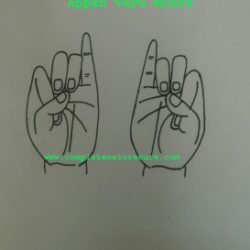 Just forty-five minutes of regular practice is enough to get good results. 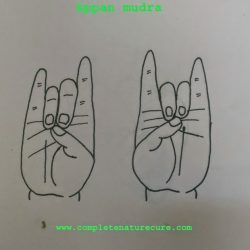 If you are new to mudra practice, then follow the links to know more about how to do mudra, benefits, and precautions. 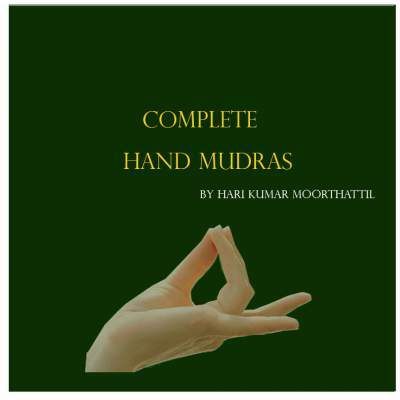 Practicing mudra is the best choice to overcome and prevent sinusitis. It will work along with any treatment natural or modern. Breathing exercise is also beneficial in this condition. Breathe in with mouth and breath out with nose it will help to open the blockages. Also, improve digestion. 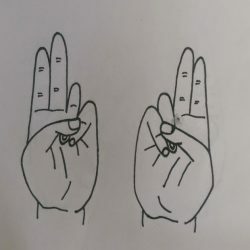 Please share your experience in practicing mudra in the comment section. Those who have the problem of sinus suffer from an aching pain in the forehead and between the eyes, fullness in the face and congestion in the nose. 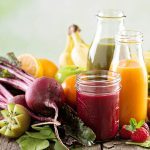 Here is the list of some easy home remedy that you can follow to get rid of your problem of the sinus. Apple Cider Vinegar has antifungal, antibacterial, anti-inflammatory and antiviral properties in it that help to heal the problem of the sinus. Onion plays a unique role to decongest and open your nose. The sulfur in it fights with the bacteria and fungi that cause the problem. Cayenne Pepper can play a significant role to boost the immunity and blood circulation of the body as well as reducing the swelling and inflammation of the body. Garlic works as a natural antibacterial that works against the virus and bacteria of the sinus. It works the best when the sinus is a result of the bacterial function. Chop some cloves of garlic and boil it in water. Strain the water and drink the tea. Horseradish helps to remove the mucus from the nasal passage and works efficiently to heal you from the problem of the sinus. All you have to do is to keep some pieces of horseradish in your mouth until the flavour of it disappears and then swallow it slowly. Oregano Oil works as a great immune booster and antioxidant. • Put two drops of Oregano Oil in a cup of boiling water and inhale the steam. 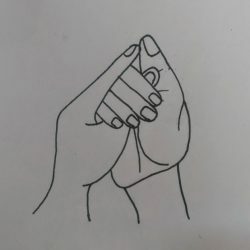 Practicing this process will help you remove the congestion of the nasal passage. • You can also have a glass of warm water mixing Oregano Oil for two to three times in a day. Turmeric contains curcumin that works efficiently to heal the swelling in the sinus cavity and thus clear the way for passing the air. You can consume the turmeric mixing with a glass of warm water or milk. Now, it is your time to enjoy spicy food as spicy food can help to heal the problem of Sinus. Include hot peppers, mustard, horseradish, curry, and spices like wasabi while cooking the food. Lukewarm compresses help to clear out the nasal passage. Fill a hot water bag with warm water and squeeze it gently over your face. You can also follow the hot compress with a cold compress to get a better result. Breathing in steam will also help to clear the nasal passage. Take a hot shower to breathe in steam vapour or wrap a towel that is wet with hot water around your face. 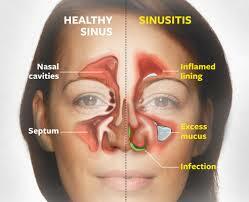 Practicing this process few times in a day will help to get relieved from sinus pain.